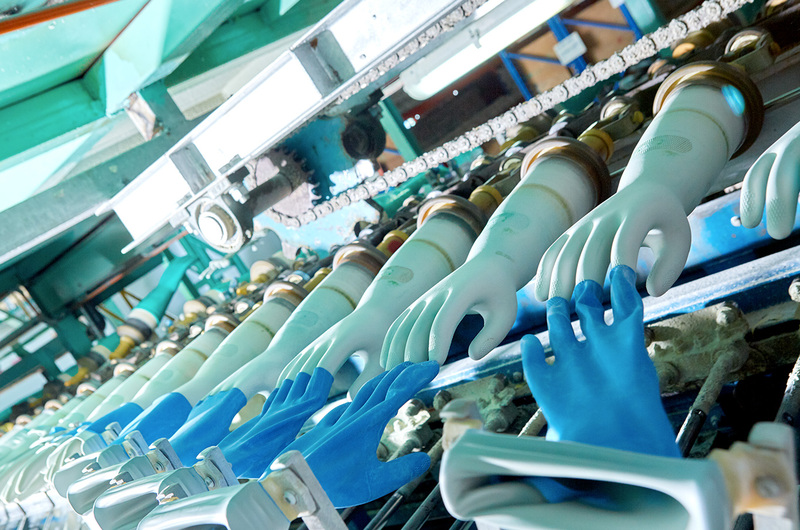 At Master Glove we place significant emphasis on innovation, a part of the company’s core values to consistently improve consumers’ satisfaction. 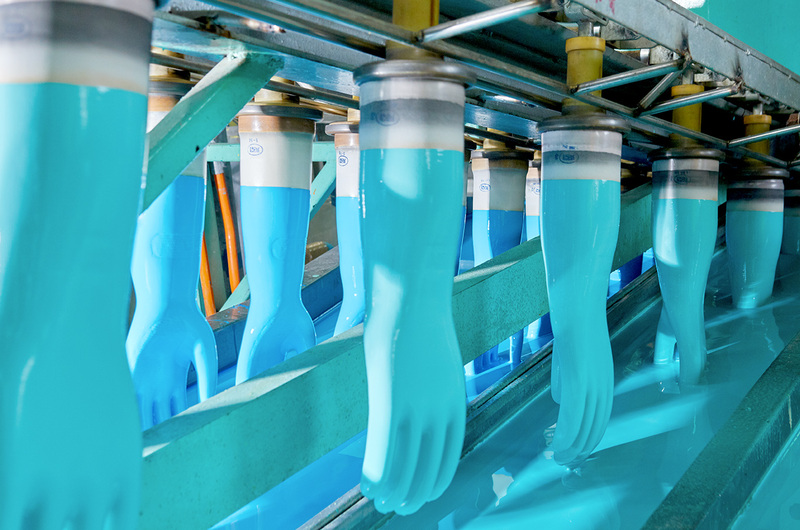 Groups of highly experienced professionals from material sciences to polymer sciences form in-house research and development (R&D) team with missions to consistently launch series of innovations to the global household and industrial glove industry. With exception of the pioneer lines, all lines are designed by our in-house teams of experienced mechanical and process engineers. Each line features tailor-made configurations specially designed to accommodate household glove productions. To address product diversity which varies between different sizes, colour and grip patterns, the lines’ design philosophies place significant emphasis on enhancing production flexibility while maintaining high quality standards and efficiency. 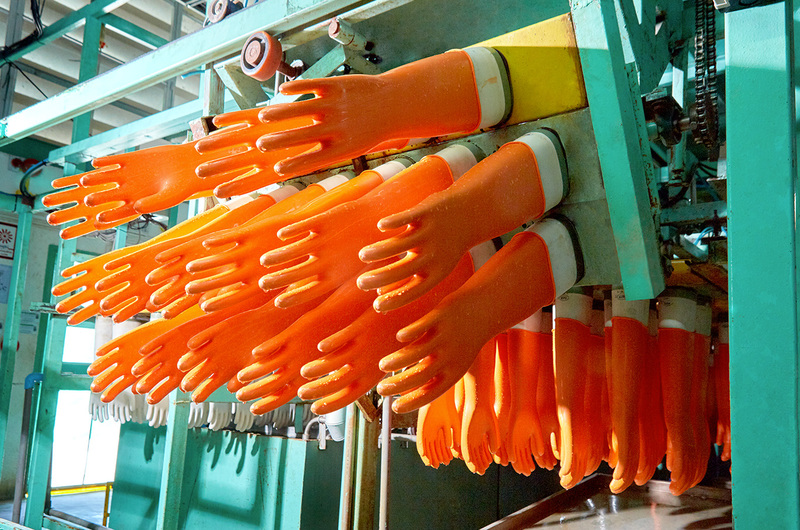 At current capacity level, the lines are capable of producing over 200 million pieces of household glove annually. Traditional manual glove stripping has always been arduous and labour intensive. 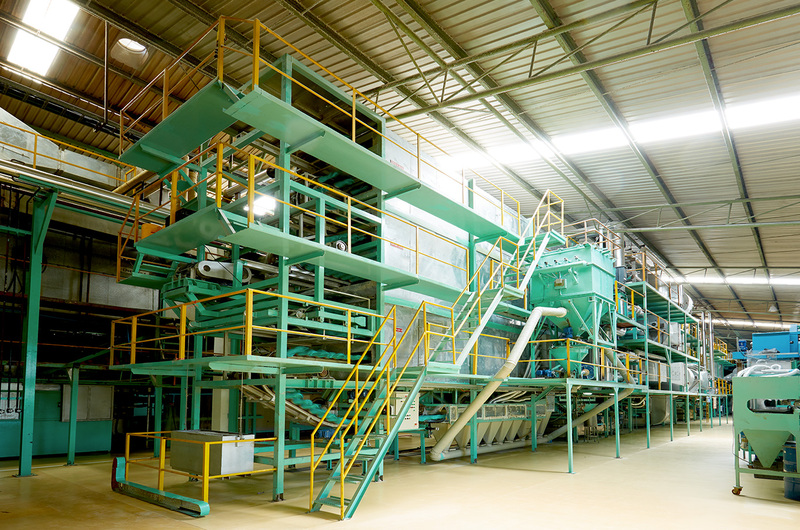 To reduce dependent on human workforce and to enhance efficiency, a complete automatic glove stripping system has been internally design and installed to all our lines. 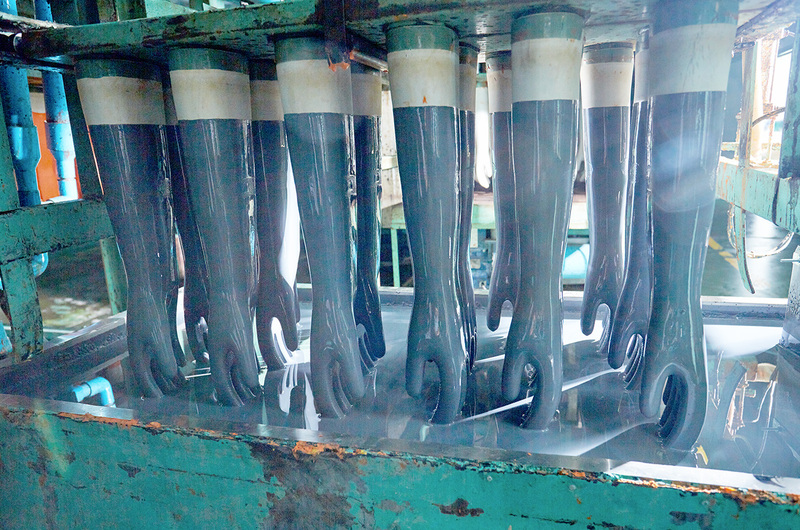 The system features our in-house design mechanical glove removal system which is capable of completely removing gloves from the molds at the stripping station.